Warning Signs: Is Lying About Climate Change Okay? Those of us who have chronicled the global warming hoax, now called “climate change”, know that it is based on decades of lies about carbon dioxide and other “greenhouse gas” with predictions that the Earth will heat up and cause massive problems unless those emissions are drastically reduced by not using coal, oil and natural gas. Two American think tanks, The Heartland Institute and the Committee for a Constructive Tomorrow (CFACT) have been among those exposing those lies for years. 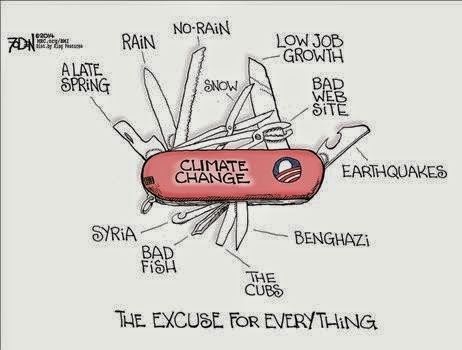 The lies have been generated and led by the UN Intergovernmental Panel on Climate Change (IPCC). Recently, two Chinese assistant professors of economics, Fuhai Hong and Xiaojian Zhao, were published in the American Journal of Agricultural Economics. Their paper, “Information Manipulation and Climate Agreements”, openly advocated lying about global warming/climate change in order to get nations to sign on to the International Environmental Agreement. Craig Rucker, CFACT’s Executive Director, responded to the Chinese authors saying “They’re shameless.” Theirs and others ends-justify-the-means tactics reflects the attitudes and actions of environmental organizations and serves as a warning to never accept anything they say on any aspect of this huge hoax. There is no “right balance” between telling lies and telling the truth when it comes to science or any other aspect of our lives. Suffice to say that thousands of scientists who participated in the IPCC reports over the years supported the lies, but many have since left and some have openly denounced the reports. As the latest IPCC summary of its report has garnered the usual verbatim media coverage of its outlandish predictions, The Heartland Institute has released its own 1,062 page report from the “Nongovernmental International Panel on Climate Change (NIPCC) called “Climate Change Reconsidered II: Biological Impacts. An 18-page summery is available at http://climatechangereconsidered.org. # Atmospheric carbon dioxide is not a pollutant. # There is little or no risk of increasing food insecurity due to global warming or rising atmospheric CO2 levels. # Rising temperatures and atmospheric CO2 levels do not pose a significant threat to aquatic life. # A modest warming of the planet will result in a net reduction of human mortality from temperature-related events. Based on hundreds of peer-reviewed studies, the NIPCC report is free of the lies that are found in the IPCC report whose studies have been, at best, dubious, and at worst, deliberately deceptive. In light of the natural cooling cycle the Earth has been in that is good news and it will be even better news when the planet emerges from the cycle that reflects the lower levels of radiation from the Sun. The price tag reveals the IPCC’s real agenda, the transfer of funds from industrial nations to those less developed. It’s about the money and always has been. It’s not global warming the planet needs to survive, it is the costly lies about it.